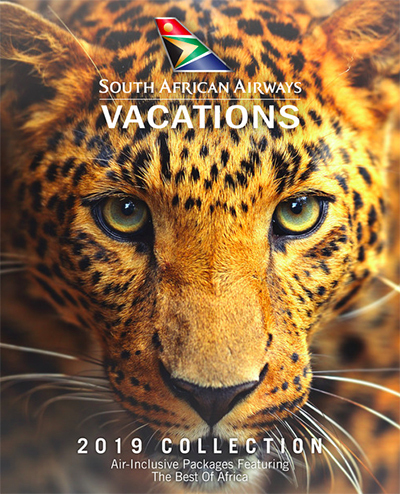 South African Airways Vacations has launched its 2019 Collection brochure, featuring a variety of vacation packages to destinations throughout Africa. All packages include round-trip air on South African Airways, as well as hotel or game lodge accommodations, airport transfers, sightseeing and a safari experience in the African bush on selected packages. For 2019, SAA Vacations is offering over 40 packages that feature a multitude of experiences throughout Africa, including adventure, culture, wildlife, culinary & wine tours, honeymoon and family safaris. Affordable Botswana – A 10-day/seven-night package that includes safaris in the Okavango Delta and Moremi Game Reserve and four-star all-inclusive accommodations. Introducing Ghana – A five-night package that travels to Accra and visits Manhyia Palace and the Ashanti Kingdom in Kumasi, before continuing on to explore the Cape Coast, Slave Mausoleum and Cape Coast Castle, which is home to the infamous “Door of No Return”.